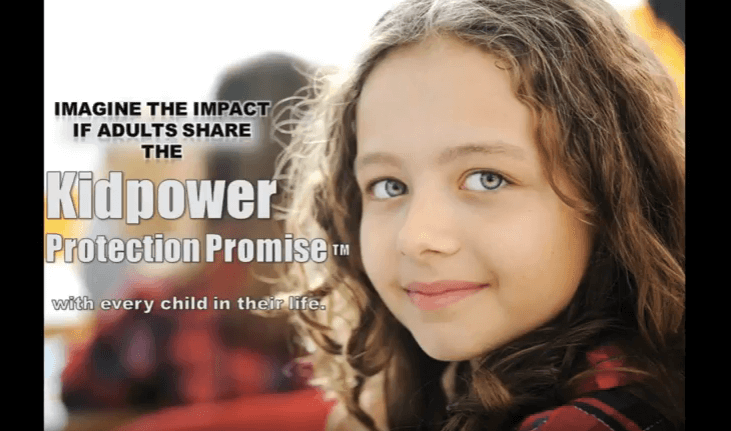 Last September, I made the Kidpower Protection Promise to many young friends as part of my personal commitment to our first International Child Protection Month. “I know that,” Molly nodded and smiled. “And if you have a safety problem I want to know!” I continued. “Of course you do,” she said confidently. “Even if I seem too busy,” I went on. “You are too busy sometimes, “Molly sighed. “Who would that be?” Molly wondered. 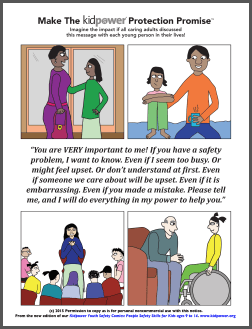 From the new edition of our Fullpower Safety Comics: People Safety Skills for Teens and Adults. Click the image to download a PDF you can use as a poster. 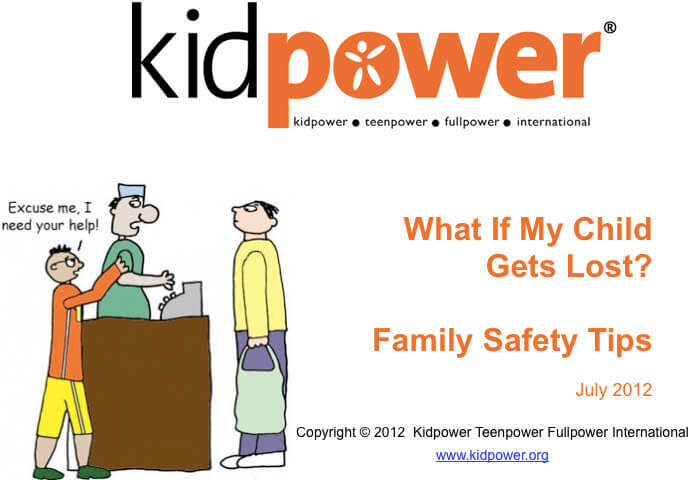 One of our instructors also made the Kidpower Protection Promise to a colleague who was having a hard time. 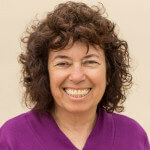 Her grateful and relieved response helped us realize that, as with most of the skills and knowledge we teach, what is important for kids is often also important for adults – to be told clearly that, no matter what, we care about each other’s safety. 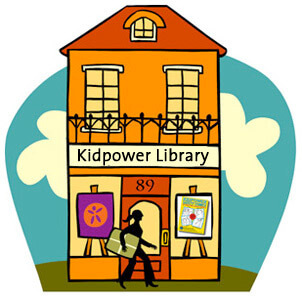 So, to help us get International Child Protection Month off to a good start, please make the Kidpower Protection Promise to every person in your life – young or old – who you are in a position to support. 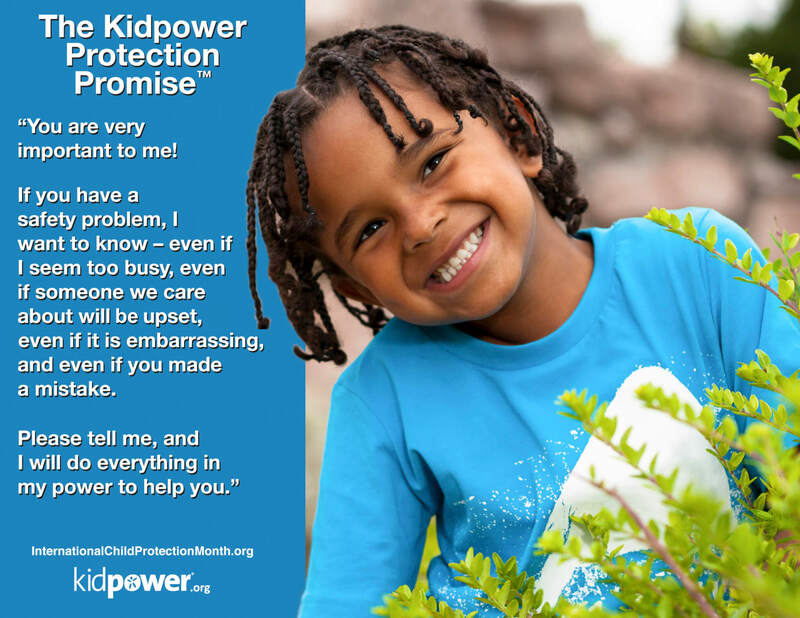 Print out one or more of our Kidpower Protection Promise posters – and post in your office, classroom, or on your refrigerator – because we all sometimes forget or get confused – and it is important to create opportunities to help us remember. 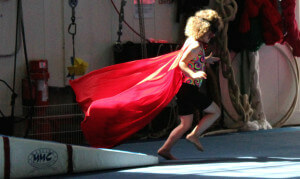 And please share this blog post through all your social networks online – and in person. Imagine the impact if all caring adults discussed this message with every child in our lives! 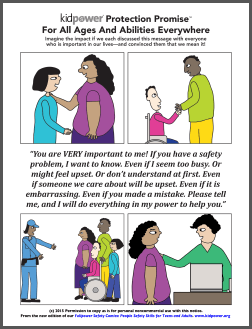 From the new edition of the Kidpower Youth Safety Comics for kids ages 9-14. Click the image to download a PDF you can use as a poster. International Child Protection Month is a global initiative to inspire, promote, and celebrate adult leadership in protecting young people from harm and in empowering children and teens with knowledge and skills to take charge of their own well being. 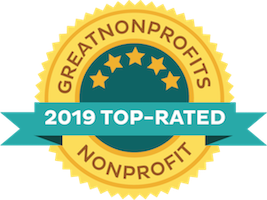 Last year, we reached over 300,000 caring adults with free online safety resources thanks to the help of our partners and centers around the world. 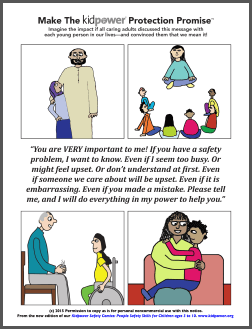 We are working with individual, local, national, and international partners to share free online safety and child protection information and resources with simple actions and skills that each of us can take to increase the safety and well-being of young people. With your help, our goal is to reach 1 million caring adults this year with ways they can take leadership in keeping kids safe. Please feel free to contact us with ideas and questions. Imagine the impact if all caring adults discussed this message with every child in our lives.